The reaction seems to be one of bewilderment - I'm not hearing the polarised views that big news stories of this nature often trigger. Parents are horrified that children could have been mistreated, worrying that they should be questioning creche standards in general, but at the same time, reassuring themselves and one another that this is not happening in the creches that their own children attend. To an outsider or a cynical person, this might sound naive, but instincts count for a lot with childcare, and parents tend to react if they suspect anything is not as it should be, usually by meeting with the creche manager or by going as far as changing to another childcare provider. As well as sympathy for the parents and children directly affected by what has happened, there is a lot of sympathy for the creches and for the childcare employees. There is a feeling that this isn't an endemic problem, and that the vast majority of creche staff are kind and caring and gentle and competent. As someone who was for a long time a customer of a Giraffe creche (not the branch that has been implicated), I too feel that this isn't a damning indictment of all childcare facilities. Just like the people I've spoken to in recent days, I have sympathy for everyone involved; children, parents, childcare workers and creche managers. During my four years sending my children to creche, I had just one negative experience. I met with the creche manager, who listened, understood, was sympathetic, apologetic, and dealt with the matter immediately. Overall, I found it to be a wonderful place to send my children - I started out nervously, worrying that I was doing the wrong thing sending my then baby there, I cried leaving her for her one hour induction period the first day. But the wonderful, warm, caring minder who looked after my child every day managed to reassure me very quickly that all was well and my baby was in great hands. Not just good hands, they need to be great hands when you're handing over your most precious possession. It seems to me that it comes down to management - a good manager hires suitable staff and knows what's going on in each room through managing by walking around. She or he knows which employees have strong leadership skills and can lead by example - she puts more junior staff with those more skilled and experienced carers, so that they can learn. So that good policies and procedures are adhered to and understood to be paramount. So that a culture of safe, nurturing, kind, gentle care permeates the room. 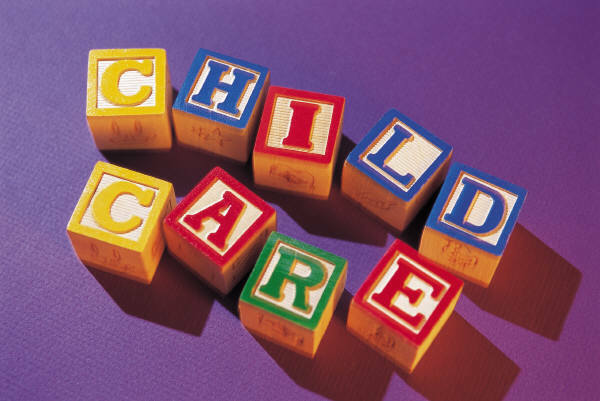 To a large extent, the difference between a "good" or "bad" creche must be linked to the manager. 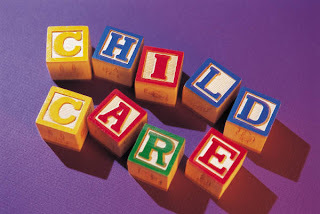 But while a manager can choose the most suitable staff and ensure a safe and caring culture exists, she can't decide what to pay those staff, nor can she do much to prevent the very high turnover that exists in childcare. Creche staff are often paid minimum wage, and staff turnover is notoriously high, especially in large, urban creches that are part of chains. This inevitably works directly against maintaining and reinforcing a good culture. So where does the money go? Parents in Dublin typically pay €1000 per month per child. Staff are often earning minimum wage. Are there huge profits for the owners? Or is the money sucked into insurance, rent and upkeep of facilities? Creches are somewhat unusual in that they are freer to choose not to invest profits back into the business, because their customers have already signed up, and won't leave without good cause (uprooting and settling a child into a new creche because of say, a lack of new toys would be unusual). A hotel for example needs to continually invest, or the customer who is committing to a one night stay won't come back. So it's in the owner's interest to invest. On the other end of the spectrum, a public hospital is not a profit-seeking enterprise; available cash is stretched and invested in the area of highest need. A creche is different to these two examples and most other enterprises - the customers have bought-in and won't leave easily, but it exists to make money for it's owners; it's not a charity, it's not a public service. So is it in the owner's interest to invest back into the business beyond a certain baseline? And if so, to what extent? I don't know the answer to this, but it doesn't look like there is investment in staff or in preventing high turnover, and this must be a contributing factor to the situation that two creches find themselves in this week. One additional point, and to end on a more positive note; I switched from creche to childminder last year, because with a third baby, a school run and an early morning commute to work, creche was no longer feasible for us, financially or logistically. But my three year old attends pre-school in a local creche - it's big, though not part of a large chain. She's had the same lovely teacher since she started last September; her teacher is kind, warm, gentle, fun and instinctively nurturing. She believes in child-led care, fresh air, and not forcing children to finish their peas. I'm delighted with this teacher, this class, this creche. Since we started there, only two of the twenty-five teachers have left; staff turnover is extremely low. I'm not sure what this creche does differently - perhaps it's all down to management, perhaps they're paying above market rates - whatever it is, it's working. I'm guessing there are large and small creches all over the country who have similarly found the secret to successfully retaining staff and providing excellent quality childcare. Hopefully the current scandal won't tarnish their reputations or unduly worry the parents who use them.